Tourism Marketing: A Strategic Approach presents a variety of practical application tools, skills, practices, models, approaches, and strategies that are proving themselves effective in tourism marketing. 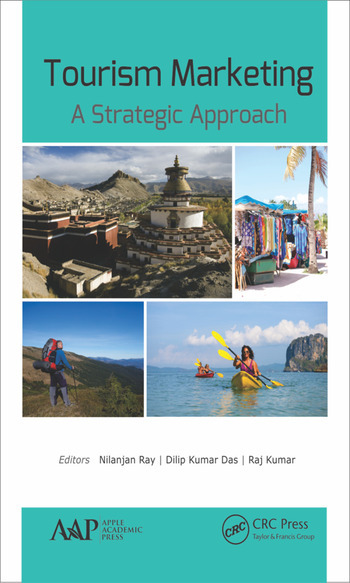 The volume considers overall infrastructure, socioeconomic conditions, and modern tourism business infrastructure in discussing the efficiency of good strategies and practices and their impact on business and economic growth. Tourism is one of the fastest growing industries, and in the next few decades, it will play a role in many fields, such human resources, national economic growth, and more. Growth Strategies: Grupo Posadas. Determinants of Tourist Visit in Destination Development: An Empirical Analysis of Sikkim. Relationship between Destination Image, Tourist Satisfaction, and Destination Loyalty. Intention to Revisit a Tourism Destination: An Empirical Study of Bundelkhand-India. Role of Service Marketing in India with Reference to Tourism Industry. Coordination of Tourism Supply Chain Management. Synergy of Tourism Industry with Banking Sector in India: An Overview. Potential of Geospatial Mashups for Tourism Marketing. Companies’ Perspective on Trust Building Factors: A Case of Online Tourism Companies in India. Role of Marketing Mix (7Ps) on Development of Rural Tourism: Evidence from Kamarpukur, West Bengal, India. Tourism Marketing in Nagaland: An Analytical Approach. Promotion of Eco-Tourism in the State with Special Reference to National Park and Wildlife Sanctuaries of Sikkim. Examination of Tourism Factors Affecting in Tourists Satisfaction: Evidence from Thimphu, Bhutan. Developing Promotional Strategy of Ecotourism in Himalayan State Sikkim, India. Role of Social Media Marketing in Tourism Industry. Development of Tourism in Myanmar. Product Diversification in the Restaurant Industry as a Competitive Advantage. Nilanjan Ray, PhD, is currently an Assistant Professor in the School of Commerce and Management at Adamas University, West Bengal, India. He has teaching experience in BBA, MBA, and BCom programs as well as several years of research experience. He has guided over 50 postgraduate students’ projects. Dr. Ray has published over 40 research papers in national and international refereed, peer-reviewed journals and proceedings, and he has edited research handbooks from IGI-Global USA. He has been a reviewer for the journals Tourism Management, the Journal of Service Marketing, the Journal of Business and Economics, and the Research Journal of Business and Management Accounting and has served as an editorial board member of several refereed journals. He has also chaired in a technical session at the IJAS Conference 2012, at Harvard University, Boston, USA. Dr. Ray is a life-member of the International Business Studies Academia. He has obtained his PhD, MCom (Marketing), and, MBA (Marketing), and STC FMRM (IIT-Kgp) degrees. Dillip Kumar Das, PhD, is currently working as an Assistant Professor in the Department of Tourism at the University of Burdwan in Bardhaman, India. He was awarded a PhD in tourism from Utkal University, Bhubaneswar, Orissa, on the topic "Economic, Socio Cultural and Environmental Impact of Tourism: A Case Study on Puri, Konark and Bhubaneswar". He completed a Master’s in Tourism Management from the Indira Gandhi National Open University (IGNOU), and also twice qualified by the University Grants Commission (UGC) National Eligibility Test (NET) in lectureship. He has also completed a master’s degree in economics from Ravenshaw University, Cuttack, India. His areas of research interest are ecotourism, tourism impact studies, and travel agency management. He has over 15 years of academic experience in tourism education. Dr. Das is now currently associated with many different universities and institutes of repute in India, including IGNOU, the Indian Institute of Tourism and Travel Management (IITTM), Magadh University, and Utkal University. Raj Kumar, PhD, has over 33 years of teaching and research experience. His areas of specialization are insurance, capital markets, and management of microfinance institutions. He has authored four books and completed three research projects. He has contributed many research papers to national and international seminars, conferences, and workshops. He has also coordinated a refresher course, an entrepreneurial development program, and four qualified institutional placement (QIPs). Prof. Kumar was an executive member of the LIC Policy Holder Council and All India Commerce Association. He has special interests in contemporary issues such as micro insurance, corporate governance, and public system management. He is currently Chief Coordinator of Industry Institute Partnership Cell (AICTE sponsored) in the Faculty of Management Studies. He was formerly Coordinator at Technical Cell, V.C's office, Banaras Hindu University, Varanasi, India. He holds several degrees, including DLitt, PhD, MBA, and MCom. "This is a successful attempt at sharing different types of research work that will provide a platform for new avenues in the overall socioeconomic conditions of modern tourism marketing. 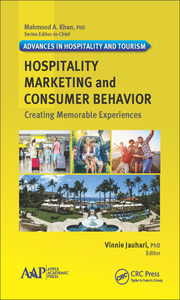 The volume addresses a variety of practical application, tools, skills, practices, models, approaches, and strategies of tourism marketing. 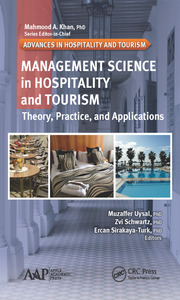 I am sure that this volume will satisfy the needs of the students and researchers of tourism marketing." 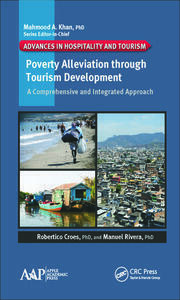 "This book is a jewel for tourism education. It provides relevant information for developing strategies in the composite field of tourism marketing. It is comprised of various research studies on the marketing of tourism products, destination marketing, and relevant strategies, tools, and approaches that are presented in such a way that will be very helpful for undergraduate and postgraduate students and research scholars. The contributors have given some recommendations and have developed some strategies based on research and surveys that will be useful for government, private agencies, NGOs, destination management organisations, etc. Overall this is a very good book, and every tourism professionals should refer to this book for upgrading their knowledge."